Freemium apps—free apps with in-app purchases—make up a huge majority of the revenue generated in both the Apple App Store and on Google Play. It’s a business model that’s become more and more popular with video games and now applications inserting paid add-ons into games and apps that initially cost nothing to download. According to Distimo’s year-end review of the mobile app market, nine out of the top 10 grossing global apps in the Apple App Store were freemium apps. Clash of Clans and Candy Crush Saga top the list as prime examples of the popularity of games that are technically free, but provide ample opportunities to spend real money. 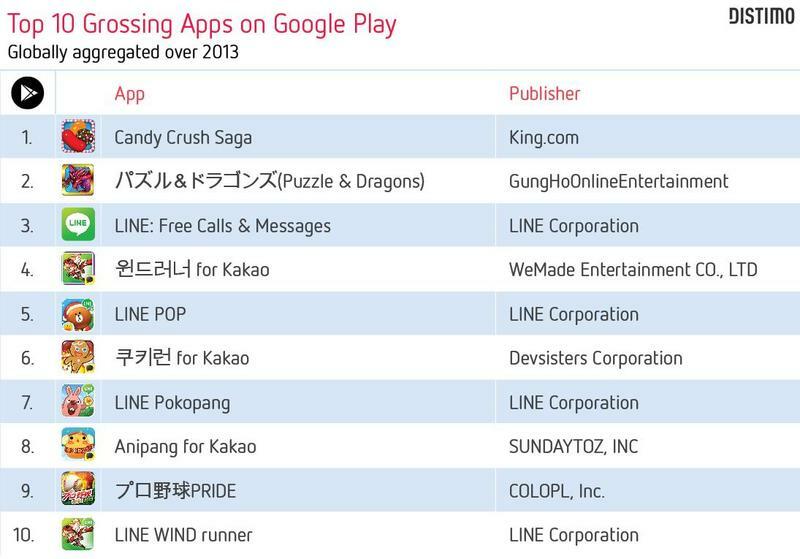 The Google Play Store’s top 10 grossing apps were all freemium apps. It’s shocking just how fast freemium apps are taking over the market. 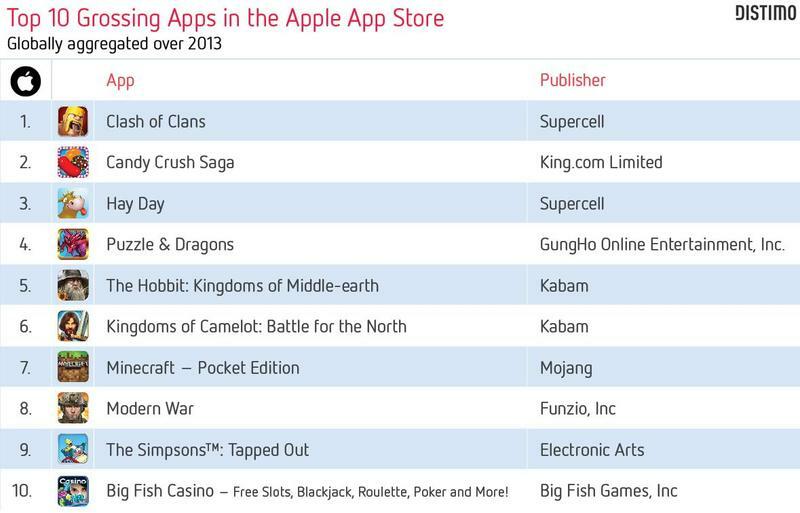 In January, 77 percent of revenue generated in the Apple App Store was from free apps with in-app purchases. By November, they accounted for 92 percent of revenue. The Google Play Store had a similar jump going from 89 percent to 98 percent by November. As for total revenue, Google’s starting to catch up to Apple with a 7 percent increase in its share of the revenue since June. Apple fell from generating 70 percent of the revenue to just 63 with Google Play at 37 percent. In the homeland of Samsung, South Korea, Google generates more than 80 percent of all app revenue. The United States still generated the most mobile app revenue with Japan, South Korea, the United Kingdom, and China following close behind. What do you think of the freemium business model? Do you mind in-app purchases? Tell us in the comments. Original Post by Ben Kim, Reposted Courtesy of Maximum PC – Covering everything from hi-end gaming PCs to tablets, peripherals and home theater rigs, Maximum PC’s print and Web editions stay one step ahead of the fast-changing world of everything computer and computing related. Whether its the latest on building your own desktop system, reviews of the latest laptops and accessories, or roundups of the games and software that make your machine go, Maximum PC brings it to you with news, reviews, and years of expertise. TechnoBuffalo is thrilled to bring you the best of Maximum PC right here on our own pages to keep you immersed in all things digital.